The export of American architecture began in the nineteenth century as a disjointed set of personal adventures and commercial initiatives. It continues today alongside the transfer of other aspects of American life and culture to most regions of the world. Jeffrey Cody explains how, why and where American architects, planners, building contractors and other actors have marketed American architecture overseas. In so doing he provides a historical perspective on the diffusion of American building technologies, architectural standards, construction methods and planning paradigms. 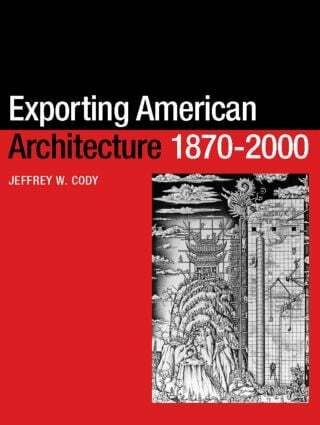 Using previously undocumented examples and illustrations, he shows how steel-frame manufacturers shipped their products abroad enabling the erection of American-style skyscrapers worldwide by 1900 and how this phase was followed by similar initiatives by companies manufacturing concrete components.